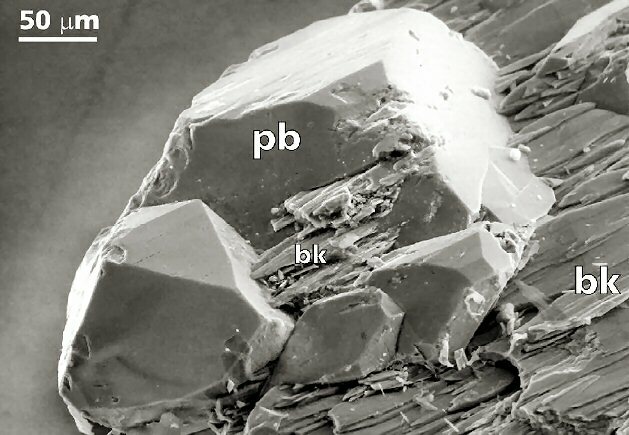 Comments: Scanning electron microscope picture, showing idiomorphic pyrobelonite crystals (pb) growing on, and intergrown with brackebuschite (bk). (Eur. J. Mineral, 13:147). Location: Mullock dumps lining the outcrop of the manganite vein south of Krettnich, Saarland, Germany.